Give the perfect guitar gift! 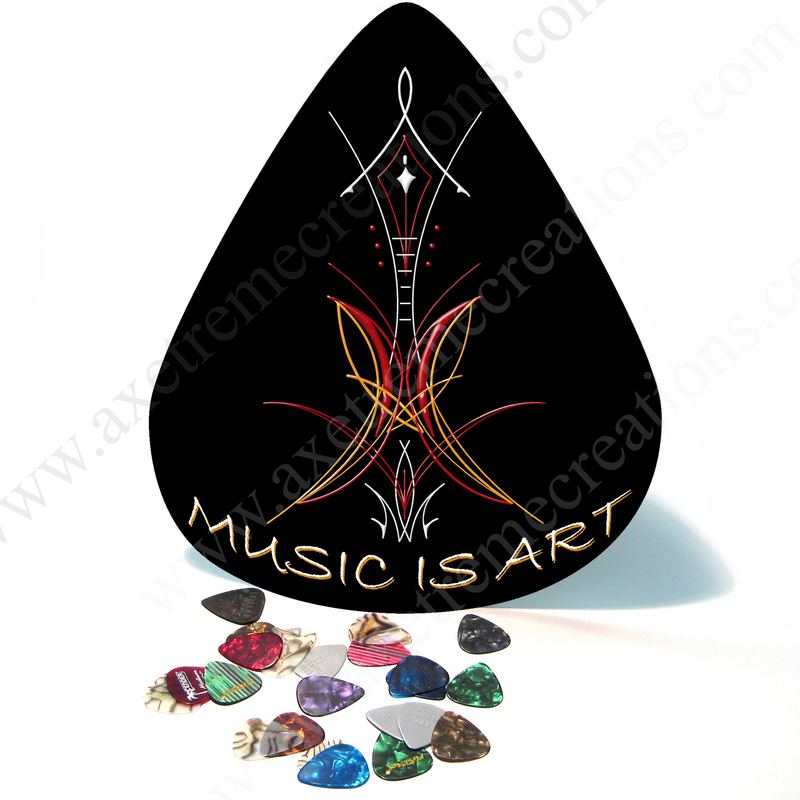 These custom giant guitar picks are a welcome addition to any guitarist’s man cave, music room, or garage / shop! Our collectible picks are available in dozens of designs, or create your own custom design. Imagine the possibilities: band merchandise for re-sale at concert events, using your own graphics and photos, or even as give-aways at events. All picks are made in the USA and come complete with a hanger pre-attached on the back to make hanging them up a breeze!